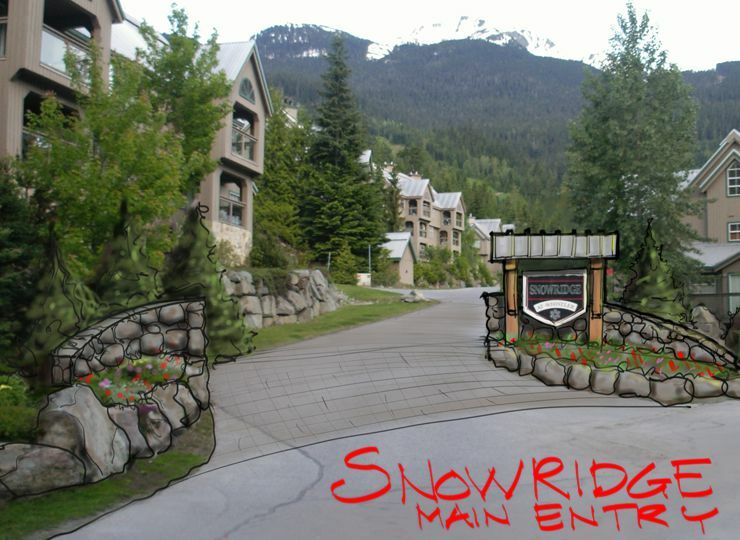 Sketch overlay proposal for main entry of the development. 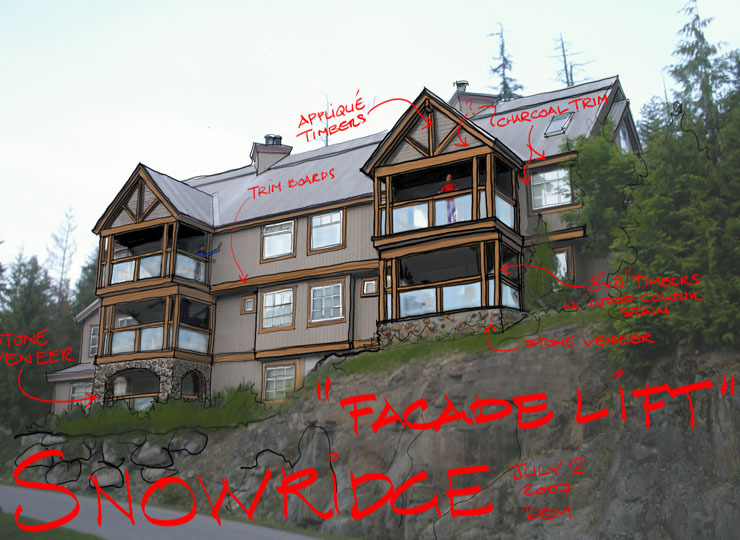 Snowridge design guidelines. 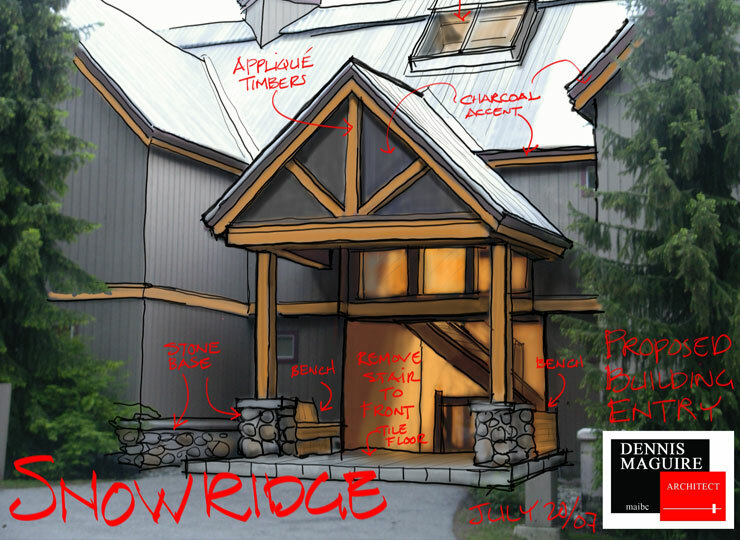 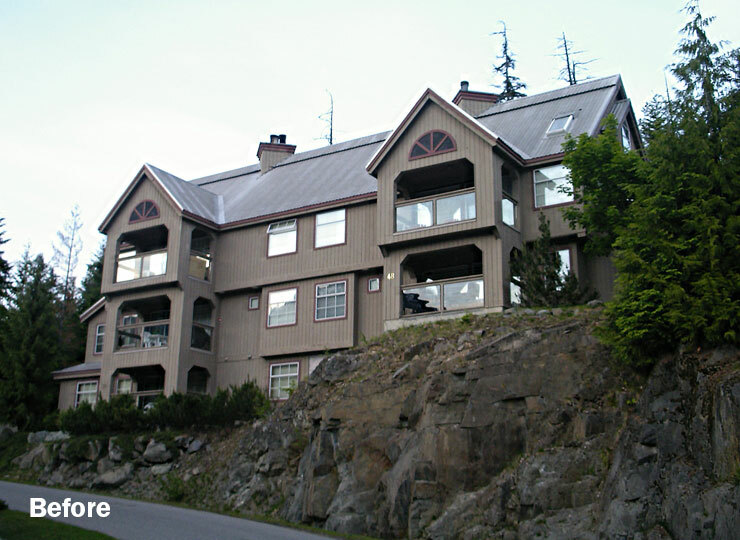 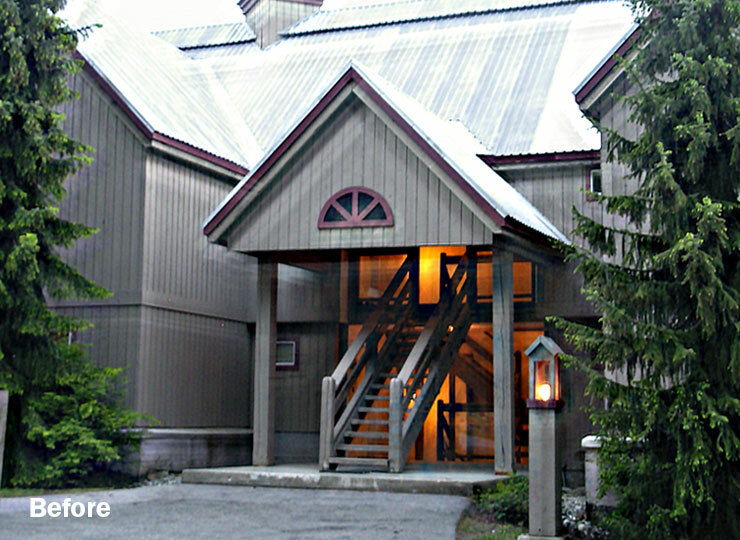 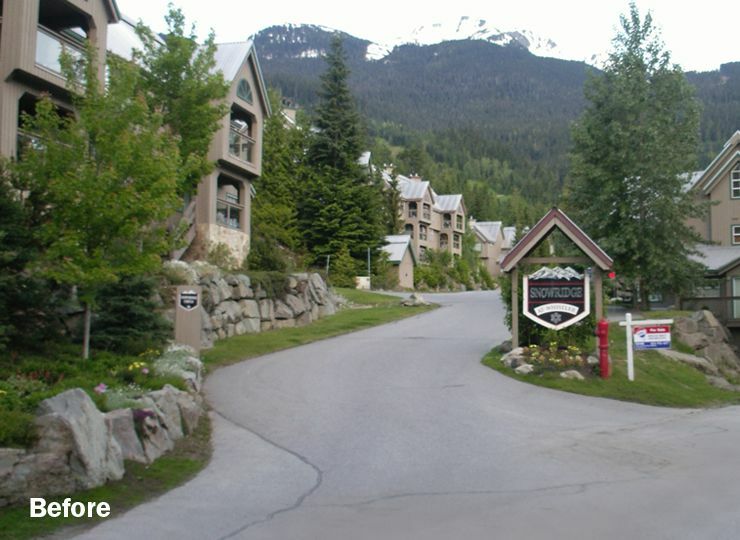 DMA was commissioned to upgrade several aspects of an existing townhouse project in Whistler.